programs, or athletic and school-administered programs. graders must be six years of age by Oct. 1 of the current year. are announced in sufficient time. 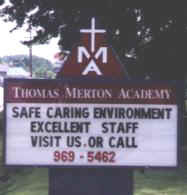 non-refundable is a student/family withdraws after Oct. 1.
the Thomas Merton Academy office.